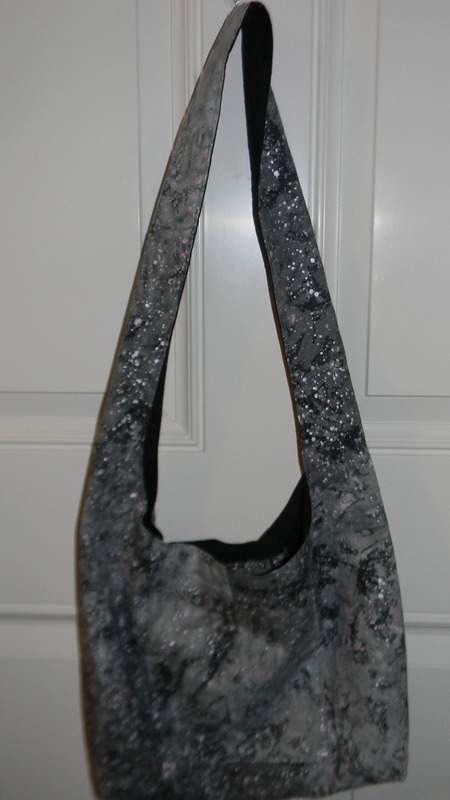 What do you do with a huge bag of scrap yarn? Make a scrap afghan. This pattern from Luba Davies at Ravelry is the great way to do that. 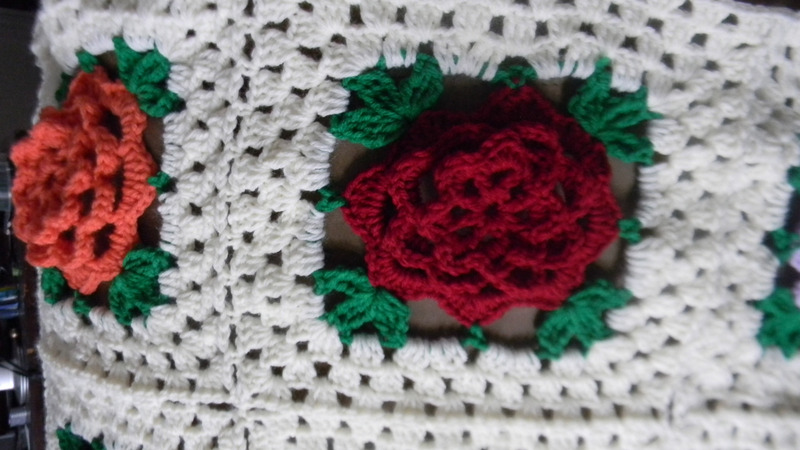 The pattern was $1.55 in U.S. funds and is for thread crochet. I used a size F crochet hook and used worsted scraps. I altered the pattern by decreasing the double crochets in each row to 3, 4, and 5 for each row. If you use a larger crochet hook either an H or I you would not need to decrease the double crochets. I also made the outside border 1 row less. My squares ended up being aprox. 9 1/4″. 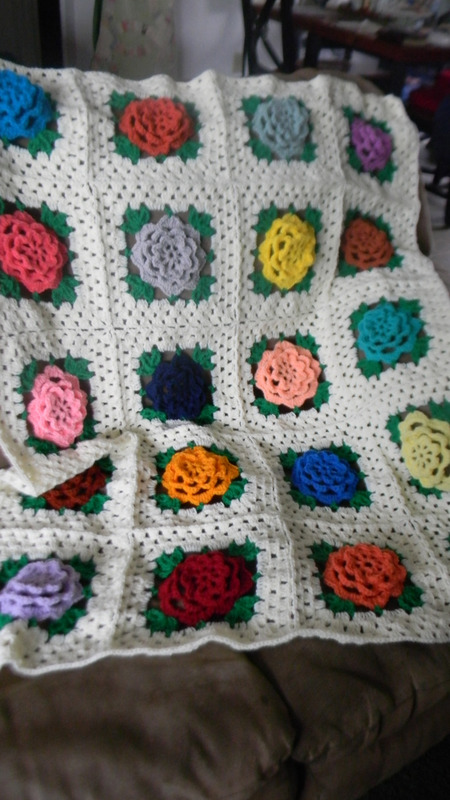 I made the afghan 4 squares by 5 squares and yes every square was a different color. I joined the squares as I crocheted. I really dislike making lots of squares and then having to sew them together. Here is a video on how to join as you go. What is your favorite scrap afghan? 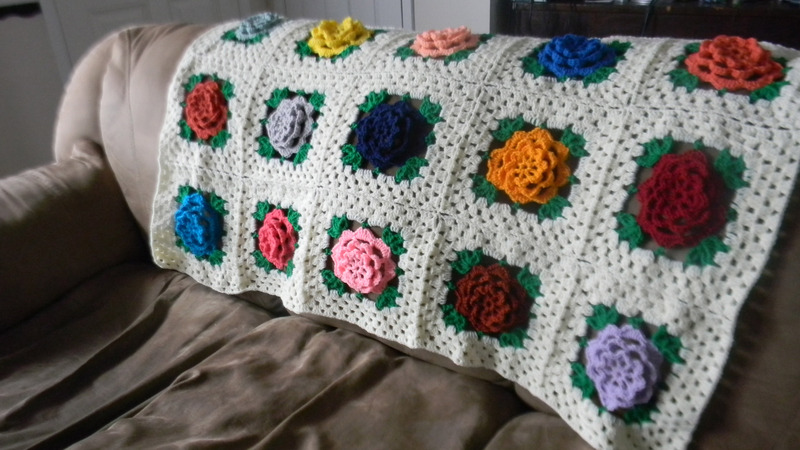 This entry was posted in Afghan, Crafts, Crochet, Posts and tagged Crochet Afghan Pattern, Flowers in Granny Square, Flowers in Granny Square Afghan, Flowers in Granny Square scrap afghan, Scrap yarn crocheted afghan. Bookmark the permalink.